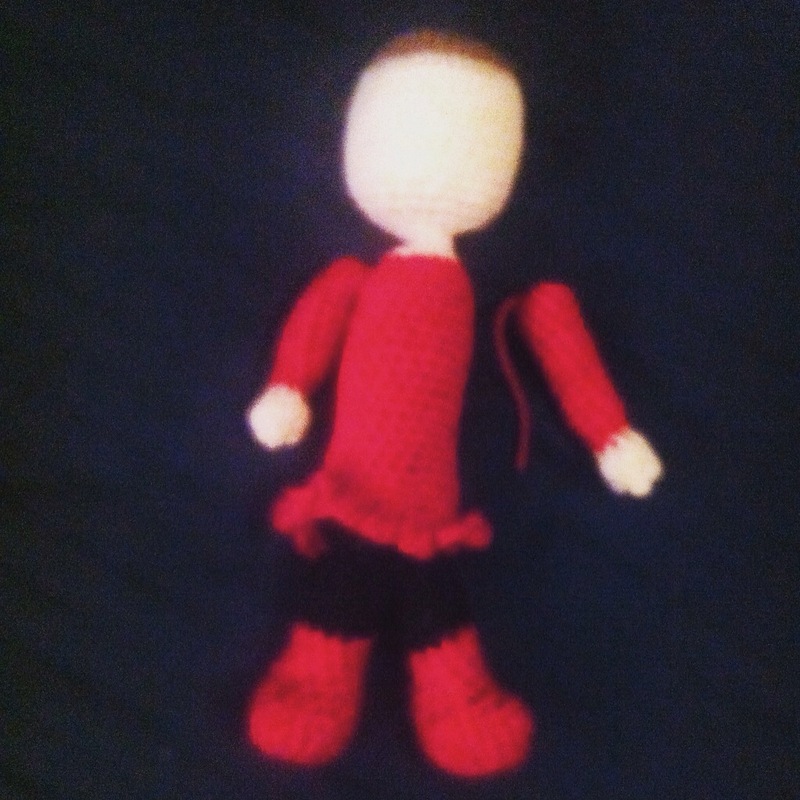 My first attempt at a full size doll for Lottie is going surprisingly well! Granny squares, scarves, beanies and headbands I can handle but doing a complicated project is so exciting. I’ll post full pics and detail when she’s done but here’s my progress so far using AmigurumiToGo.com’s pattern. Sorry for crappy pic. I took it at 1am.